Who Was Jeremiah the Prophet? God called Jeremiah a fortified city, an iron pillar, and a bronze wall (Jer 1:18); a tester and refiner of metals, a tower and fortress (Jer 6:27); a man through whom He would speak against false prophets and shepherds who mislead their sheep. Is not my word like fire, declares the LORD, and like a hammer that breaks a rock in pieces? (Jer 23:29) Jeremiah would be the voice of that word. Hated and feared by many, yet secretly sought by the king, He belonged to no one but God, was indebted to no one but God. He was totaliter aliter (totally other). Indeed, Jeremiah was the best kind of prophet, a reluctant one (Jer 1:6). Beware the eager prophets, the self-appointed ones who seize the mantle as a pretext for their anger and opinions. They claim to speak for God, but He says of them, I did not send the prophets, yet they ran; I did not speak to them, yet they prophesied (Jer 23:21). God had always known Jeremiah and had laid the foundation for his ministry: Before I formed you in the womb I knew you, and before you were born I consecrated you; I appointed you a prophet to the nations (Jer 1:5). “Before I formed you in the womb I knew you, and before you were born I consecrated you; I appointed you a prophet to the nations.” Then I said, “Ah, Lord God! Behold, I do not know how to speak, for I am only a youth.” But the Lord said to me, “Do not say, ‘I am only a youth’; for to all to whom I send you, you shall go, and whatever I command you, you shall speak. Do not be afraid of them, for I am with you to deliver you, declares the Lord.” Then the Lord put out his hand and touched my mouth. And the Lord said to me, “Behold, I have put my words in your mouth. See, I have set you this day over nations and over kingdoms, to pluck up and to break down, to destroy and to overthrow, to build and to plant” (Jer 1:5-10). Jeremiah’s early years were his happiest and it was of these that he likely wrote, When I found your words, I devoured them; your words were my joy, the happiness of my heart, Because I bear your name, LORD, God of hosts (Jer 15:16). The rediscovery of the Book of Deuteronomy and the sober example of the destruction of the northern Kingdom of Israel (721 B.C.) had spurred a religious revival led by King Josiah, beginning in 622 B.C. Foreign entanglements and the religious errors that accompanied them were eliminated. These days of reform would be brief, but for this short time there would be one Lord, one temple, one worship. It was a kind of Jewish renaissance, the best since the days of King David. But then came disaster. Instead of trusting God, Josiah engaged in a foolish war against King Neco of Egypt, who was marching to assist Assyria against Babylon. Josiah was killed at Megiddo in 609 BC. The kings that followed were puppets of Neco, and foreign entanglement and religious syncretism resumed. The Lord said to me in the days of King Josiah: “Have you seen what she did, that faithless one, Israel, how she went up on every high hill and under every green tree, and there played the whore? And I thought, ‘After she has done all this she will return to me,’ but she did not return, and her treacherous sister Judah saw it. She saw that for all the adulteries of that faithless one, Israel, I had sent her away with a decree of divorce. Yet her treacherous sister Judah does not fear, but she too went and played the whore. Israel took her whoredom lightly, she polluted the land, committing adultery with stone and tree. Yet for all this her treacherous sister Judah did not return to me with her whole heart, but in pretense, declares the Lord (Jer 3:6-10). Jeremiah’s next forty years would be spent laboring under four different Kings (Jehoiakim, Johoiachin, Zedekiah, and Gedaliah). None of them would trust God, instead compromising with the world for a false peace. For them, Jeremiah had only scorching denunciations about a coming catastrophe for their religious laxity and political cowardice. I see a boiling pot, facing away from the north. Then the Lord said to me, “Out of the north disaster shall be let loose upon all the inhabitants of the land. … each king shall come, and every one shall set his throne at the entrance of the gates of Jerusalem, against all its walls all around and against all the cities of Judah. And I will declare my judgments against them, for all their evil in forsaking me (Jer 1:13-16). Do not trust in your deceptive words, chanting, “This is the temple of the LORD, the temple of the LORD, the temple of the LORD.” For only if you really change your ways and deeds, if you act justly toward one another and no longer oppress the foreigner, the fatherless, and the widow, and no longer shed innocent blood in this place or follow other gods to your own harm, only then I will allow you to live in this place, in the land I gave to your fathers forever and ever. But look, at you, you keep trusting in deceptive words to no avail. Will you steal and murder, commit adultery and perjury, burn incense to Baal, and follow other gods that you have not known, and then come and stand before Me in this house, which bears My name, and say, “We are delivered, so we can continue with all these abominations”? Has this house, which bears My name, become a den of robbers in your sight? Yes, I too have seen it, declares the LORD. But go now to the place in Shiloh where I first made a dwelling for My name and see what I did to it because of the wickedness of My people Israel (Jer 7:4-12). All are greedy for gain; from the prophet to the priest, all practice deceit. They dress the wounds of the daughter of My people with very little care, saying, “Peace, peace,” when there is no peace. Are they ashamed of their loathsome conduct? No, they have no shame at all, not even enough to blush. … But the snorting of enemy horses is heard from Dan. At the sound of the neighing of mighty steeds, the whole land quakes. They come to devour the land and everything in it, the city and all who dwell in it (Jer 8:10-12, 16). Such talk, such an action, is sure to generate a reaction. Jeremiah was soon assailed by foes, family, and friends alike as an enemy of the state and of the Temple. He was labeled a doomsayer and “no friend of Judah.” A prophet’s lot is not a happy one. Was Jeremiah simply an angry man, unpatriotic and hypercritical of his people and the leaders of the day? Time would tell. Too often people and cultures that are heading toward ruin become locked in avoidance, lies, denial, self-deception, and half-truths; they cannot envision a love that is anything other than approval. Dysfunction and disordered drives become the norm. Jeremiah loved his people and sought their repentance. The medicine they needed was reality, not the smoke and mirrors of lies and half-truths. Jeremiah would pay dearly for his disclosure of the truth. To a people used to darkness, the light is obnoxious. The king’s officials, including Pashur the priest, convinced King Zedekiah that Jeremiah should be put to death because his prophecies were discouraging the soldiers as well as the people. Zedekiah did not oppose them, and so Jeremiah was thrown into a cistern, where he sank down into the mud. They intended to starve him to death, but Ebed-melech the Cushite rescued Jeremiah by pulling him out of the cistern. However, Jeremiah remained imprisoned until Jerusalem fell to the Babylonian army in 587 B.C. And the LORD informed me, so I knew. Then You showed me their deeds. For I was like a gentle lamb led to slaughter; I did not know that they had plotted against me: “Let us destroy the tree with its fruit; let us cut him off from the land of the living, that his name will be remembered no more” (Jer 11:18-19). Woe to me, my mother, that you have borne me, a man of strife and conflict in all the land. I have neither lent nor borrowed, yet everyone curses me (Jer 15:10). You have deceived me, O LORD, and I was deceived. You have overcome me and prevailed. I am a laughingstock all day long; everyone mocks me. For whenever I speak, I cry out, I proclaim violence and destruction. For the word of the LORD has become to me a reproach and derision all day long. If I say, “I will not mention Him or speak any more in His name,” His message becomes a fire burning in my heart, shut up in my bones, and I become weary of holding it in, and I cannot prevail. For I have heard the whispering of many, “Terror is on every side! Report him; let us report him!” All my trusted friends watch for my fall: “Perhaps he will be deceived so that we may prevail against him and take our vengeance upon him.” But the LORD is with me like a fearsome warrior (Jer 20:7-11). Just before the end of Judah, King Zedekiah summoned Jeremiah from prison and asked for a prophecy regarding the war he proposed against the Babylonians. Jeremiah prophesied against it, implying that the present Babylonian oppression was punishment for Judah’s sin. He told the king that God would spare Judah the worst if they accepted this and did not take matters into their own hands. This is what the LORD, the God of Hosts, the God of Israel, says: If you indeed surrender to the officers of the king of Babylon, then you will live, this city will not be burned down, and you and your household will survive. But if you do not surrender to the officers of the king of Babylon, then this city will be handed over to them. They will burn it down, and you yourself will not escape their grasp (Jer 38:17-18). In the ninth year of Zedekiah king of Judah, in the tenth month, King Nebuchadnezzar of Babylon advanced against Jerusalem with his entire army and laid siege to the city. And on the ninth day of the fourth month of Zedekiah’s eleventh year, the city was broken through. … [The] king of Babylon slaughtered the sons of Zedekiah before his eyes, and he also killed all the nobles of Judah. Then he put out Zedekiah’s eyes and bound him with bronze chains to take him to Babylon. The Chaldeans set fire to the palace of the king and to the houses of the people, and they tore down the walls of Jerusalem (Jer 39:1-8). The Lord says, “Those who escape the sword to return from Egypt to Judah, will be few in number, and the whole remnant of Judah who went to dwell in the land of Egypt will know whose word will stand, Mine or theirs (Jer 44:28). It was likely in Egyptian exile that Jeremiah died, although there is no certain account of his death. He died preaching and warning. Yes, he was a pillar of brass against a stubborn people. He suffered greatly for his work; he had the often-thankless task of summoning people away from worldly thinking and political alliances that compromised their devotion to God. This work must continue both in and out of the Church. In our world there is a great darkness, but Jeremiah would warn us that the problem should be seen within before we look outside. We can surely hear the echoes of warning to shepherds who mislead their flock. Collectively, we are compromised; we are too politically aligned with secular agendas and prone to giving God lip service rather than wholehearted obedience. I have loved you with an everlasting love; therefore I have drawn you with loving devotion. Again I will build you, and you will be rebuilt, O Virgin Israel. Again you will take up your tambourines and go out in joyful dancing. Again you will plant vineyards on the hills of Samaria; the farmers will plant and enjoy the fruit. For there will be a day when watchmen will call out on the hills of Ephraim, “Arise, let us go up to Zion, to the LORD our God” (Jer 31:3-6). Behold, the days are coming, declares the LORD, when I will make a new covenant with the house of Israel and with the house of Judah. … “But this is the covenant I will make with the house of Israel after those days, declares the LORD. I will put My law in their minds and inscribe it on their hearts. And I will be their God, and they will be My people. … For I will forgive their iniquity and will remember their sins no more (Jer 31:31-34). Yes, Jeremiah, you were like a brass wall and a pillar of iron among a shaky people. Your name means “The Lord founds.” May the Lord who has founded us find us again in His word through you. A couple of brief thoughts about St. Athanasius whose feast we celebrate today. I have served in African-American parishes for most of my priesthood and have often wondered why there don’t seem to be any black parishes named for this North-African saint. There are many named for Augustine and Cyprian, both of whom were likely of Berber stock despite hailing from northern Africa. Athanasius, on the other hand, while certainly not a sub-Saharan African, is described as having dark — even blackish — skin. Yet almost no African-American Catholic community claims him. It just seems curious to me. I once wrote to a rather prominent historian who has written on African-American Catholicism to ask why this was so, but I never received a response. There are times when the dark, heavy syllables of his name fill us with dread. In the history of the early Church no one was ever so implacable, so urgent in his demands upon himself, or so derisive of his enemies. There was something in him of the temper of the modern dogmatic revolutionary: nothing stopped him. The Emperor Julian called him “hardly a man, only a little manikin.” Gregory Nazianzen said he was “angelic in appearance and still more angelic in mind.” In a sense both were speaking the truth. The small, dauntless man who saved the Church from a profound heresy, staying the disease almost single handed, was as astonishing in his appearance as he was in his courage. He was so small that his enemies called him a dwarf. He had a hook nose, a small mouth, short reddish beard which turned up at the ends in the Egyptian fashion, and his skin was blackish. His eyes were very small, and he walked with a slight stoop, though gracefully as befitted a prince of the Church. He was less than thirty when he was made Bishop of Alexandria. He was a hammer wielded by God against heresy. There were other Fathers of the Eastern Church who wrote more profoundly or more beautifully, but none wrote with such a sense of authority or were so little plagued with doubts …. He wrote Greek as though those flowing syllables were lead pellets …. His wit was mordant. He did not often employ the weapon of sarcasm, but when he did, no one ever forgot it. When Arius, his great enemy died, he chuckled with glee and wrote off a letter to Serapion giving all the details of Arius’ death, how the heretic had talked wildly in church and was suddenly “compelled by a necessity of nature to withdraw to a privy where he fell, headlong, dying as he lay there.” As for the Arians, Athanasius hated them with too great a fury to give them their proper names. He called them dogs, lions, hares, chameleons, hydras, eels, cuttlefish, gnats, and beetles, and he was always resourceful in making them appear ridiculous …. At least twice Athanasius was threatened with death, and he was five times exiled. He was perfectly capable of riding up to the Emperor and holding the emperor’s horse by the bridle while he argued a thesis. Today’s Feast of St. Mark (also known as John Mark) reminds us that the Gospel occurs within the human setting and condition. Mark was at the center of the tension between Paul and Barnabas; their differences were so severe that it led to a parting of ways. Yet St. Mark, despite his less-than-stellar beginning in Church leadership came to prove his worth and was reconciled to St. Paul. To fill in the back story, let’s begin by St. Barnabas and then turn our attention to St. Paul. St. Barnabas was a Jew, a native of Cyprus, and of the tribe of Levi. As such he likely served in the Temple as a priest, depending on his age at his conversion to Christianity. His given name was Joseph, but the apostles called him Barnabas, which means “son of encouragement” (cf Acts 4:36). He was probably a wealthy man, for St. Luke describes him early in Acts as a generous man who sold land to support the growing Church. Most critically, it was Barnabas who vouched for the new convert, Saul of Tarsus, later known as Paul. Paul was viewed with suspicion by those in Jerusalem, including the apostles, who only recently had been targets of his persecutions (cf Acts 9:26). Talk about one of the most pivotal introductions in history! Indeed, it may be argued that this changed the course of Western history and surely that of the Church. Barnabas smoothed the way for St. Paul, the Church’s most zealous missionary and greatest biblical theologian. After Barnabas’ introduction, Paul was able to move freely around the disciples. Sometime after this, the apostles in Jerusalem sent Barnabas to Antioch, which was home to both Jews and Gentiles. It seems that he was not yet considered to be of the rank of apostle or bishop (Acts 13:1 calls him a teacher). Rather, he went more to observe and be of help. Under the leadership of Barnabas and others, the Church in Antioch thrived and grew quickly. So, Barnabas sent for Paul to come and join him. They worked together for at least a year, and it was at Antioch that the disciples were called Christians for the first time (Acts 11:26). Barnabas continued to advance and build up Paul’s ministry in the Church. Barnabas gave us a stunning moment in Church history; it is not wrong to call St. Paul his protégé. Missionaries – Having done this, the Church leaders at Antioch, directed by the Holy Spirit, sent Barnabas and Paul forth on missionary work. This journey is what is now known as Paul’s first missionary journey. It is interesting to note that early in the journey described in Acts, Barnabas is listed first, followed by Paul. By Acts 13:43, however, the order changes and Paul is listed first. This suggests a change in leadership. They took with them on this first journey the Barnabas’ cousin John, who was called Mark. Somewhat early on the journey, Mark decided that he could no longer go on and turned away from the missionary trip. Later on, this would prove to be significant. The last major role for Barnabas was in Acts 15 at the Council of Jerusalem, which was convened to decide whether Gentile converts could become full members of the Church without converting to Judaism. Barnabas, along with Paul, provided important testimony to the zeal and conversion of the Gentiles. Sometime later Paul said to Barnabas, “Let us go back and visit the believers in all the towns where we preached the word of the Lord and see how they are doing.” Barnabas wanted to take John, also called Mark, with them, but Paul did not think it wise to take him, because he had deserted them in Pamphylia and had not continued with them in the work. They had such a sharp disagreement that they parted company. Barnabas took Mark and sailed for Cyprus, but Paul chose Silas and left (Acts 15:36-40). Although it was a sad moment, it illustrates the human situation. Here were two men who had been like brothers. Paul owed his inclusion in leadership largely to Barnabas. They had taught together. They had journeyed hundreds of miles by ship and then by foot into the northern mountains, making converts in effective ministry. More recently they had just returned from Jerusalem, their vision and ministry approved and vindicated against naysayers among the brethren. Yet at this magnificent moment, Paul and Barnabas argued and parted company over Barnabas’ cousin Mark. One of the things I admire most about the biblical text is that it does not whitewash things like this. Heroes are not perfect men; they are flawed and representative of the human condition. They are gifted and strong but struggle with the same issues and demons that haunt us all. What is the lesson to be learned? God uses us even in our weakness. Who was right and who was wrong here? It is difficult to say. Two gifted men were unable to overcome an impasse. Alas, that is the fallen human condition. God will continue to work, however. He can make a way out of no way and write straight with crooked lines. Even sadder, this is the last we hear of Barnabas in any substantial way. He who had been so instrumental in the life of his protégé Paul, and in the early Church now exits the stage in the heat of an argument. The text says that Barnabas and Mark sailed for Cyprus, and then there is silence. Barnabas is mentioned in Galatians, but given the vague timeline, it is difficult to assume it took place after the disagreement described in Acts. It likely took place earlier and may illustrate that there were already tensions between Paul and Barnabas before the “Mark incident.” In Galatians we see that Barnabas was following Peter’s weak example of not eating with Gentiles, which was clearly upsetting to Paul (cf Gal 2:13). Healing? It would also seem that Barnabas continued to labor as a missionary for Paul, who makes mention of him to the Corinthians (cf 1 Cor 9:6). Although Paul’s reference to Barnabas is a passing one, it gives no indication of a rift between them. This suggests that there was some healing of the division, even if they did not labor together again. More healing? Even for John, called Mark (likely the same Mark who became secretary to Peter and authored the Gospel of Mark), it would seem that he and Paul overcame their difficulties. For St Paul wrote to Timothy, likely about the same Mark, Get Mark and bring him with you, because he is helpful to me in my ministry (2 Tim 4:11). There is something of a redemption here for Mark and a healing for Paul. The “useless” deserter Mark is now one who is helpful to Paul. Although the loss and seeming disappearance of St. Barnabas is sad, there is still the story of St. Mark’s growth to greater maturity and to leadership. Though less-than-reliable at first, Mark later proves his worth. It would seem we have St. Peter to thank for that, taking Mark as his secretary and aide. We also owe thanks to St. Barnabas, who did not give up on Mark. In the end, John Mark proves himself helpful in the ministry and St. Peter called him “my son” (1 Peter 5:14). Yes, God can make a way out of no way. Even in our weakness (and often only because our weakness keeps us humble), God can do great things. On the Feast of All Saints we celebrate men and women of every place and time who lived with great sanctity. Many of them are known to us and are among our great heroes of the Faith; even more are unknown to us. The most common hymn for this feast day is “For All the Saints.” It is interesting that the name of the tune to which the lyrics are set is “Sine Nomine” (without name). In other words, this feast celebrates those who, although they attained great sanctity, are largely unknown to us. They lived in ordinary circumstances and were fairly hidden from the world at large, but God knows them and has awarded them the crown of righteousness. They, too, are part of the rich tapestry of this feast and the glory of the Communion of Saints. It is fitting, then, that on the Feast of All Saints, Donald Cardinal Wuerl of the Archdiocese of Washington released a pastoral letter on racism entitled, “The Challenge of Racism Today.” We are all well aware of recent racial tensions in our country and the Cardinal would have us reflect on this problem as Catholics. This reflection should come from the perspective of our faith more so than from politics and worldly culture. I’d like to review a number of the Cardinal’s teachings under three headings. The sight from the sanctuary of many a church in our archdiocese offers a glimpse of the face of the world. Indeed, our parishes are ethnically and racially diverse. The rich beauty of diversity in the unity of our faith is manifest everywhere. “Catholic” means universal and it could not be more obvious in Washington, D.C. as it is in many other regions. Catholics come from everywhere! This diversity is from God Himself, who has not only created the rich tapestry of humankind but also delights in uniting us all in His Church. By God’s grace, by His plan and vision, we are called to be members of the One Body, the Church, through the grace of shared faith. Jesus sets forth the realization of God’s desire in his great commission: Therefore, go and make disciples of all nations, baptizing them in the name of the Father and of the Son and of the Holy Spirit, and teaching them to obey everything I have commanded you (Matthew 28:19-20). This is order number one from Jesus: Go everywhere; call everyone; make them disciples by teaching them what I have taught and baptizing them into the one Body of Christ, the Church. This is God’s vision, His plan, and His command. II. Sinful Revisions – We human beings are often slow to hear and even slower to do what God commands. When it comes to reaching across racial and ethnic boundaries to make disciples, we often give in to fear and the hostilities that result. We also give in to pride and notions of racial superiority. This has been an ugly tendency throughout human history. As people of faith, we cannot ignore God’s command to include all in His Kingdom. The Cardinal tells us that we must confront and overcome racism. This challenge is not optional. Jesus warns us against wrathful disparagement of others: Anyone who says to his brother, “Raca,” will be subject to the Sanhedrin. And anyone who says, “You fool!” will be subject to the fire of hell (Matt 5:22). He counsels us, So if you are offering your gift at the altar and there remember that your brother has something against you, leave your gift there before the altar and go. First be reconciled to your brother, and then come and offer your gift (Matt 5:23-24). This teaching is applied to our day with clarity in the Catechism of the Catholic Church. “Being in the image of God the human individual possesses the dignity of a person, who is not just something, but someone …” (CCC # 357). … There is no basis to sustain that some are made more in the image of God than others. Racism is a sin. … [I]t divides the human family, blots out the image of God among specific members of that family and violates the fundamental human dignity of those called to be children of the same Father. We have no right or capacity to overrule God or reject the dignity He Himself has established. The Cardinal describes racism as a denial of the goodness of creation. To address racism, we need to recognize two things: that it exists in a variety of forms, some more subtle and others more obvious; and that there is something we can do about it… even if we realize that what we say and the steps we take will not result in an immediate solution to a problem that spans generations. As we are reminded by St. Paul, There should be no division in the body, but that its members should have mutual concern for one another. If one member suffers, every member suffers with him (1 Cor 12:25-26). Saint John Paul II in the Great Jubilee Year asked for the recognition of sins committed by members of the Church during its history. He called for a reconciliation through recalling the faults of the past in a spirit of prayerful repentance that leads to healing of the wounds of sin. So acknowledging our sins and seeking to remedy what we can, we turn with sorrow to those we have offended, individually and collectively and also express gratitude for the tenacity of their faith…. We also recognize the enduring faith of immigrants who have not always felt welcome in the communities they now call home. It is a remarkable testimony that so many who have felt spurned by fellow Christians and Catholics did not reject the faith, but tenaciously held on to it. Even in the midst of great pain, so many stayed in the faith; through forgiveness and great patience they have helped to purify fellow Christians and work for ongoing reform within the Church. Because God has reconciled us to himself through Christ, we have received the ministry of reconciliation. Saint Paul tells us, “God has reconciled the world to himself in Christ … entrusting to us the message of reconciliation” (2 Corinthians 5:18-19). Thus the Cardinal invokes a key dimension of the apostolic office: reconciling us to one another and to God. As a bishop, Cardinal Wuerl urges us to seek reconciliation where it is needed. Reconciliation requires first that we acknowledge our sins. As Jesus says, we must go and be reconciled to our brother or sister. If we have in any way fostered division, if we have scorned, mocked, excluded, or derided others, we should admit the sin and seek to be reconciled. While there are often grievances on all sides when it comes to race, this need not stop us from hearing and pondering the consistent and widespread experience of those who feel excluded or scorned. Sometimes it just starts with listening, before rushing to judge whether the experience of others is valid. There are wounds that go back decades and even centuries. Reconciliation takes time. Recognizing another’s pain and experience is an act of respect. Listening is a very great gift. Please consider making a careful, spiritual reading of the Cardinal’s pastoral letter. See it as an honest assessment of our need to recognize racism and repent for any cooperation we have had in it, past or present. Consider, too, his call for us to entrust our hearts to the Lord, so that we can, as the Cardinal says, envision the new city of God, not built by human hands, but by the love of God poured out in Jesus Christ. 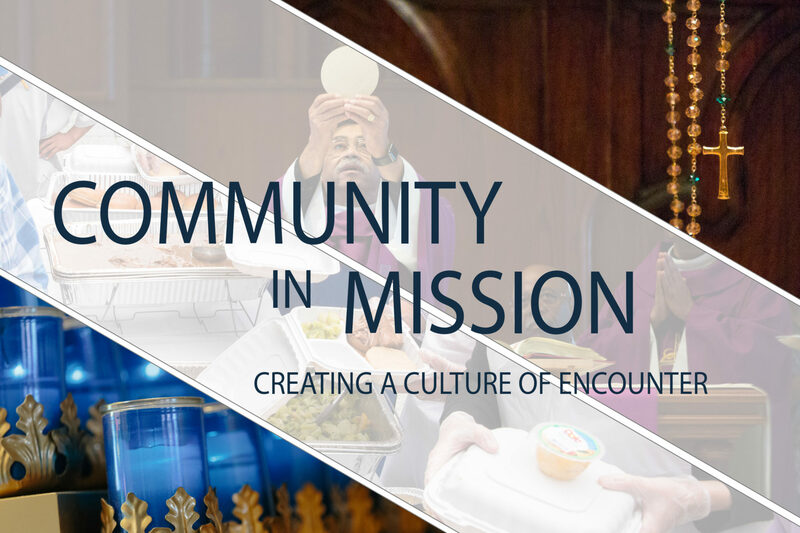 In the weeks ahead, other initiatives and gatherings will be announced in the diocese. Among them is a recognition of the many African-Americans who were enslaved and who were buried in our Catholic cemeteries without any headstones or markers. You might say that they were buried sine nomine, without any recognition of their names. It is fitting, then, that on this Feast of All Saints, when we acknowledge the many saints whose names we do not know, that we also remember those buried in our cemeteries whose names are known only to God. They were called slaves but were in fact God’s children, possessed of the freedom of Children of God. May they rest now with God in the peace and unity of the Communion of Saints. Yesterday’s feast of St. John of the Cross points to a rich vein of teaching from the spiritual master. Among St. John’s teachings is that deep union with God requires a growing purification from the things of this world and from inordinate passions. The path to this is often not easy. In this post I would like to ponder some hard spiritual truths that will set us free. In calling them “hard truths,” I mean that they are not the comfortable bromides that many seek. They speak bluntly about the more irksome and difficult realities with which we are confronted. But if we accept them, they have a strange way of bringing serenity by getting us focused on the right things instead of chasing after false dreams. A person can spend his whole life being resentful that life isn’t perfect, forgetting all the while that we are all in exile. We are making a difficult journey to a life in which, one day, every sorrow and difficultly will be removed and death will be no more—but not now. In the opening section of his Spiritual Canticle, St. John of the Cross lays out a presumed worldview that the spiritually mature ought to have attained. Because he presumes it of his reader, he states it only briefly. Let’s examine these hard but freeing spiritual insights one by one. My commentary is in red. More than in any other age, we today entertain the illusion that death can easily be postponed—it cannot. We are not guaranteed the next beat of our heart, let alone tomorrow! It is true that with advances in medical science, sudden death is relatively uncommon, but this can easily lead us to believe that we can cheat death—we cannot. Life is short; we do not get to choose when we will die. Both my mother and sister died suddenly, swept away in an instant. They never got to say goodbye. You do not know if you will even finish reading this sentence before death summons you. This is wisdom. It is a hard truth that gives us an important perspective. Life is short and you have no way of knowing how short. What are you doing to get ready to meet God? What do you get worked up about? What are you not concerned about? Are your priorities rooted in the truth that life is short? Or are you making wagers in a foolish game in which the house (death and this world) always wins? There is a strange serenity and freedom in realizing that life is short. If we do so, we tend not to get as worked up about passing things and become more invested in lasting things and the things to come. Another illusion we entertain today is that salvation is a done deal. A great heresy of our times is a belief in almost-universal salvation, which denies the consistently repeated biblical teaching that declares, Enter by the narrow gate. For the gate is wide and the way is easy that leads to destruction, and those who enter by it are many. For the gate is narrow and the way is hard that leads to life, and those who find it are few (Matt 7:13-14 inter al). In parable after parable, in warning after warning, Jesus speaks with sober admonition about the reality of Hell and the finality of judgment. No one loves you more than Jesus does, and yet no one warned you more about Hell and judgment than He did. Salvation is not easy; it is hard. Jesus said this; I did not. He did not say this because God is mean, but because we are stubborn, obtuse, and prefer darkness to light. We need to sober up about our stubbornness and our tendency to prefer “other arrangements” to what God offers and teaches. In the end, God will respect our choice. The day will come when our choice for or against the Kingdom and its values will be sealed forever. This is a hard saying but it sets us free from the awful sin of presumption, a sin against hope. It instills in us a proper focus on the work that is necessary to root us in God. Accepting this hard truth will make you more serious about your spiritual life and aware of the need for prayer, the Sacraments, Scripture, and the Church. It will help you to have more well-ordered priorities, ones that are less obsessed with the passing and more rooted in the eternal. It will make you more evangelical and urgent to save souls. And yet despite this and many other quotes and teachings like it, we go one presuming that almost everyone will go to Heaven. We set aside God’s Word and replace it with human error and wishful thinking. We substitute human assurances for God’s warnings. We elevate ourselves over St. Paul, who said that we should work out our salvation in fear and trembling (Phil 2:12) and who spoke of disciplining himself lest, after preaching to others, he should be lost (1 Cor 9:27). Are we really better and more enlightened that Jesus? Than Paul? Than Peter? Salvation is hard. This is not meant to panic us, but to sober us to the need for prayer, the Sacraments, Scripture and the Church. Without these medicines we don’t stand a chance. And we must persevere to the end. This hard truth sets us free from illusion and sends us running to the Lord, who alone can save us. Smug presumption roots us in the world. Godly fear and sober awareness of our stubborn and unrepentant hearts send us to Jesus, freeing us. Such a freeing truth! First, that the things of this world are vain. That is to say, they are empty, passing, and vapid. We so highly value power, popularity, and worldly glories, but they are gone in a moment. Who was Miss America in 1974? Who won the Heisman Trophy in that same year? And if you happen to know, do you really care? Does it really matter? It’s empty show, glitter, fool’s gold. And though we should fight for justice, for the sake of the kingdom, even here the Scriptures counsel some perspective: I have seen a wicked, ruthless man, spreading himself like a green laurel tree. But he passed away, and behold, he was no more; though I sought him, he could not be found. (Ps 37:35-36). I am what you exist for. I am what matters. I am what satisfies.” These are lies and deceptions on all fronts. The form of this world is passing away; it cannot fulfill our infinite desires. Our hearts were made for God and only being with Him one day will satisfy us. Yet so easily do we listen to the world’s seduction and lies! Too often we want to be lied to. We prefer to chase illusions and indulge vanity and deceit. How freeing this truth is! We learn to make use of what we need and begin to lose our obsession with vain and passing things and with our insatiable desire for more. Yes, perhaps you can survive without that granite countertop. This is a very freeing truth if we can accept its hard reality. And, becoming more free, a deeper serenity finds us. The world is passing away. It can’t secure your future. The world’s cruel lie that it can fulfill you is on display in every graveyard. So much for the world’s empty promise: “You can have it all!” Yes, and then you die. Meditate on death frequently. Indeed, the Church bids us to rehearse our death every night in prayer by reciting the Nunc Dimittis. Scripture says, For here we have no lasting city, but we seek the city that is to come (Heb 13:14). Do you have your sights fixed where true joys are? Or are you like Lot’s wife? Let this truth free you to have the proper perspective: Since, then, you have been raised with Christ, set your hearts on things above, where Christ is, seated at the right hand of God (Col 3:1). Do you have plans for tomorrow? Great, so do I. The only problem is that tomorrow is not promised or certain, neither is the next beat of your heart. This is another hard but freeing truth. Jesus warns, But I tell you that everyone will have to give account on the day of judgment for every empty word they have spoken (Matt 12:36). St. Paul says, He will bring to light what is hidden in darkness and will expose the motives of the heart (1 Cor 4:5). And he adds, So we make it our goal to please him, whether we are at home in the body or away from it. For we must all appear before the judgment seat of Christ, so that each of us may receive what is due us for the things done while in the body, whether good or bad (2 Cor 5:9-10). And James chillingly says, So speak and so act as those who are to be judged by the law of liberty. For judgment will be merciless to one who has shown no mercy (James 2:12-13). What James says is particularly chilling because so many today are without mercy. If God judges us with the same strict justice we often dish out to others, we don’t stand a chance. The accounting will be strict anyway, so don’t pile on unnecessary severity and wrath. This is another freeing truth that helps us take heed of the coming judgment. I wonder why he repeated this. I just wonder! And look, he repeated this, too! I wonder why. Maybe repetition is the mother of studies. This is a sober truth that calls us to remember. What does it mean to remember? It means to have present in your mind and heart what the Lord has done for you so that you are grateful and different. We live so many years and so many hours of each day in ingratitude. We get all worked up and resentful about the smallest setbacks while almost completely ignoring the countless blessings we receive each day. Did he repeat himself again? Now why do you suppose he does that? You don’t think he considers us stubborn, do you? [that] it is already late—and the day far spent ( 24:29)—to remedy so much evil and harm Repetitio mater studiorum. The wrath of God is really in us, not in God. It is our experience of discomfort before the holiness of God. It is like being accustomed to a dark room and suddenly being brought into the bright afternoon sunlight. We protest and claim that the light is harsh, but that is not so. We are incapable of tolerating the light due to our preference for and acclimation to the darkness. In the same way, God is not “angry.” He is not moody or harsh. He is God and God does not change. St. John teaches here the hard but freeing truth that God is holy; no one is going to walk into His presence unprepared. If we prefer the world and its creatures to the Creator, we thereby prefer the darkness and cannot tolerate the light. Heaven is simply not possible for those who prefer the darkness. And thus Jesus says, And this is the judgment: the light has come into the world, and people loved the darkness rather than the light because their works were evil (John 3:19). That’s right, this occurs just three verses after the famous and oft-quoted John 3:16. And while the sinful soul may “feel” that God is angry and is hiding Himself, the problem is in the sinful soul, not God. The freedom of this hard saying comes in reminding us and urging us to get ready to meet God. God is not going to change; He can’t change. So we must change, and by His grace, become the light of His holiness. [that we need to call on the Savior] Touched with dread and interior sorrow of heart over so much loss and danger, renouncing all things, leaving aside all business, and not delaying a day or an hour, with desires and sighs pouring from her heart, wounded now with the love for God, she begins to call her Beloved. Here is the real point of all of these hard truths: to make us love our Savior more, to learn to depend on Him and run to Him as fast as we can. Only when we know the hard truths are we really going to get serious. After all, who is it that goes to the doctor? Is it the one who thinks he doesn’t have cancer (even though he does)? Or is it the one who knows he’s sick? Sadly, the answer is not clear enough to us in modern times, times in which even within the Church there are many who don’t want to discuss any of the hard truths we need to lay hold of before we can get serious. A steady diet of “God loves you and all is well no matter what” has emptied our pews. Why? Well, who goes to the spiritual hospital if all he hears is that nothing is wrong and that his salvation is secure, almost no matter what? The good news of the Gospel has little impact when the bad news is no longer understood. What does salvation mean if there is no sin and nothing from which to be saved? Now of course the bad news should not be preached without pointing to the good news as well; the point is that both are needed. Thus, St. John’s hard truths are not meant to discourage. They are meant to sober us and send us running to the doctor. Now look, you’ve got it bad and that ain’t good. The good news is that there’s a doctor in the house. Run to Him now; He’s calling you!